When he arrived in Russia, Snowden was approached by the Russian intelligence at the airport but he refused to work with them. Whistleblower Edward Snowden said he won’t stop criticizing the Russian government even though his residential permit ends in 2020. “I am already someone who the world’s most powerful intelligence agency considers a real threat. If I wanted a safe life, I would still be in Hawaii, working for the NSA,” Snowden said in an interview with the German daily Sueddeutsche Zeitung. Snowden was a former employee of America’s Central Investigation Agency (CIA). He released classified information which revealed the NSA's global surveillance programme. 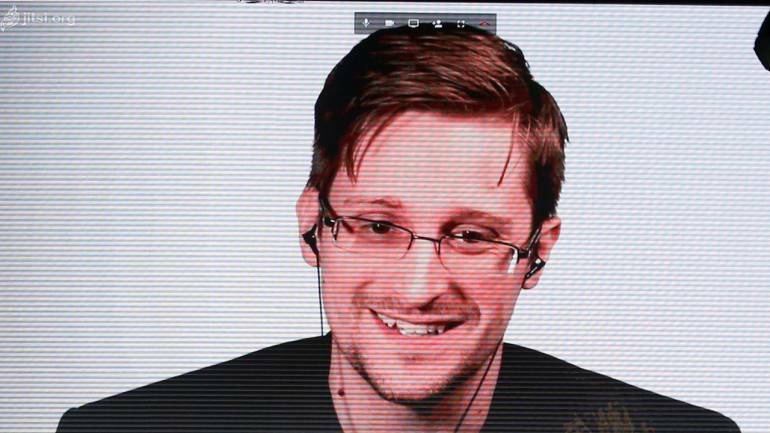 Snowden sought asylum in Russia five years ago. The ex-CIA man said he could have stayed anonymous but the government would have claimed that the documents were forged and manipulated, which would’ve reduced the impact of the report. When he arrived in Russia, he was approached by intelligence officials at the airport itself but he refused to work with them. “Look, if you guys are going to kick me out, you’re going to kick me out. Show me the plane. But I don’t have anything, I’m not going to tell you anything, I don’t want any relationship with you and I will not be threatened," he said. Regarding claims that he is a Russian spy, Snowden said the US had sources inside the Russian intelligence and they would’ve exposed him by now if that was the case. Citizen Four said he hasn’t released all the information that was accessed by him. “Not all the documents that the journalists have access to were intended to be published. The fact that some are not published is the point, not a problem,” he added.